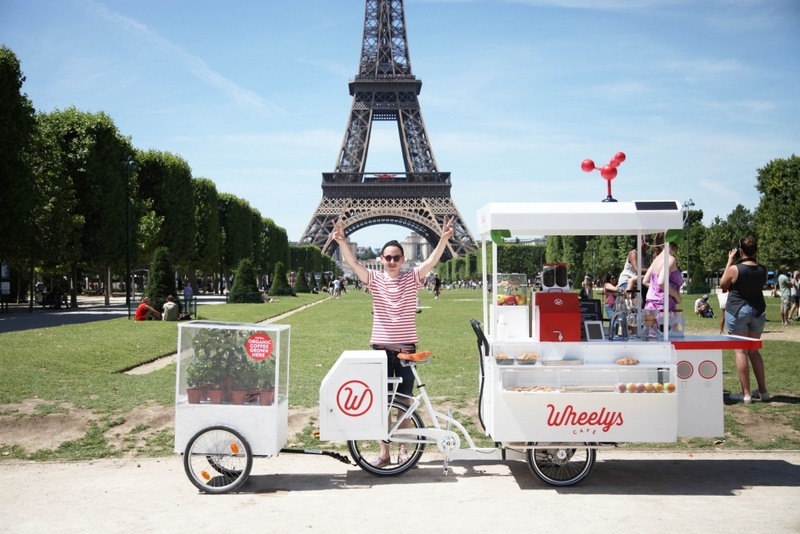 Wheelys is a chain of organic bicycle cafés that enables all people to start their own cafés. Since starting 2015, Wheelys has sold over 800 cafés in 70+ countries, which means it’s growing faster than any fast food chain. Ever. Wheelys vision is to make it easier for passionate people without money to open their own cafés, shops, and restaurants. Wheelys was hosted at Y Combinator (the accelerator behind Airbnb, Dropbox, and Reddit) and has been funded by, among others, Othman Laraki (Color Genomics), Paul Buchheit (creator of Gmail), Jared Friedman (founder of Scribd), and Justin Waldron (co-founder of Zynga).